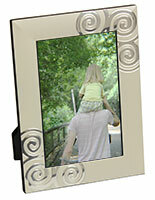 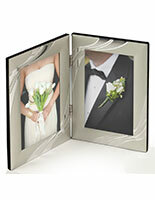 These silver hinged frames are made of aluminum and have a black felt backing. 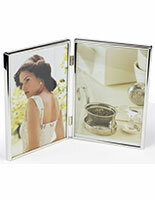 The holders also feature a glass lens for protecting photos from dust and moisture. 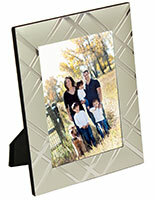 The hinged frames stand by themselves and do not require an easel backer to create an attractive display. 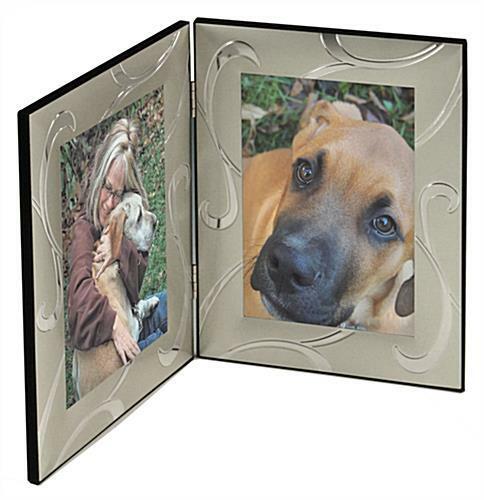 The aluminum holders are made for showcasing (2) standard 4" x 6" photos that can be easily inserted with the easy-to-open retainer clips. 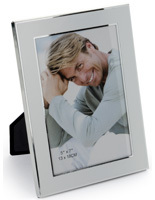 Silver and black frames like these make great gifts for family events like weddings, baby showers, anniversaries and birthdays. 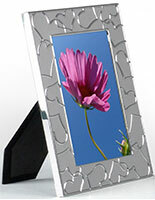 The stands with a glass lens feature a matte finish with chrome accents. 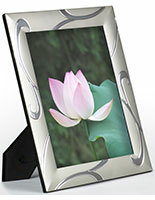 11.6" x 7.8" x 0.25"
Thanks for the feedback! 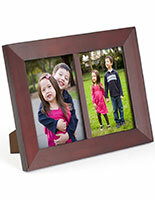 We're glad you were happy with your picture frames!